It’s summer time, which means tons of cookouts and get togethers for our family. I love this time of year so much…we spend long days at the pool, and either end up cooking out on our own or with friends. 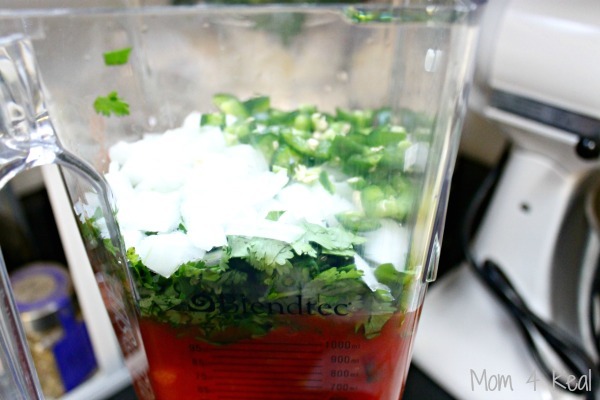 One of my favorite summer indulgences is homemade blender salsa. I make it weekly, and love to make enough to share it with friends. This past 4th of July weekend, I made it and took it to two different cook outs and it was a huge hit! 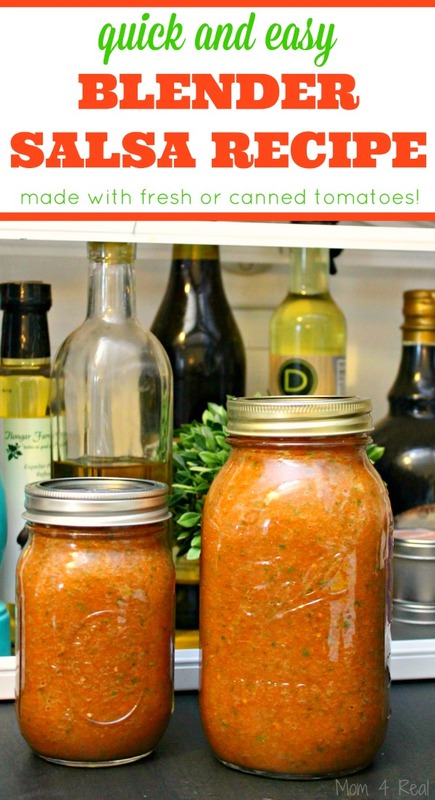 It’s so easy to make, and can be made with either fresh or canned ingredients…it’s perfect if you have a garden full of tomatoes or just canned ones! 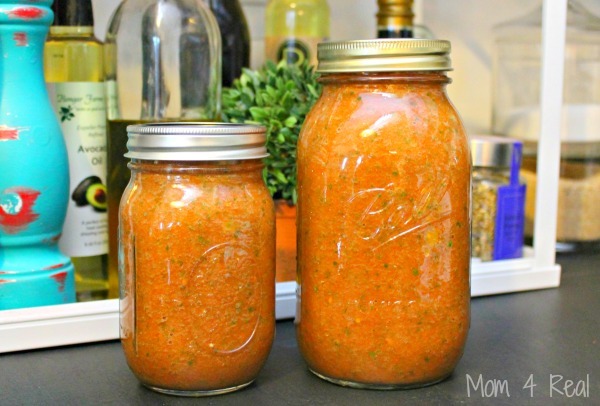 The easiest blender salsa recipe ever! Pour tomotoes in blender, add diced jalapenos, handful of cilantro, diced onion, juice of one lime and kosher salt. Blend until mixed together. Store in airtight containers, and share with your friends! I dice some of the larger ingredients just to be sure they are well blended at the end. It only takes a few seconds in the blender and should be pretty fine…no chunks. 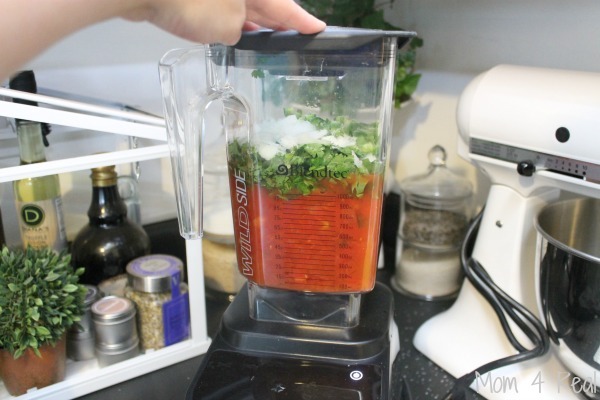 Blender salsa is a thinner salsa, which I love! 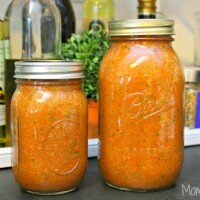 I store mine in Mason jars and share with friends and family. **NOTE** These aren’t canned and sealed, so it will only last for about a week. There is a process you can go through to actually can and store them, but I use mine pretty quickly and make new every week or so. I hope you enjoy this salsa as much as we do! It’s the perfect thing to take to any get together, enjoy with fajitas or tacos, and even makes a great hostess gift along with a bag of tortillas! 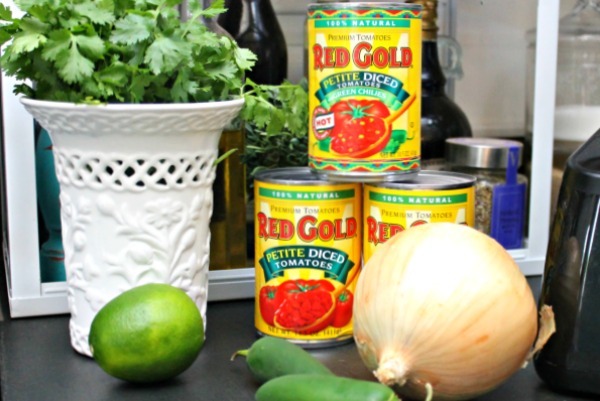 Looking for another fabulous salsa recipe? 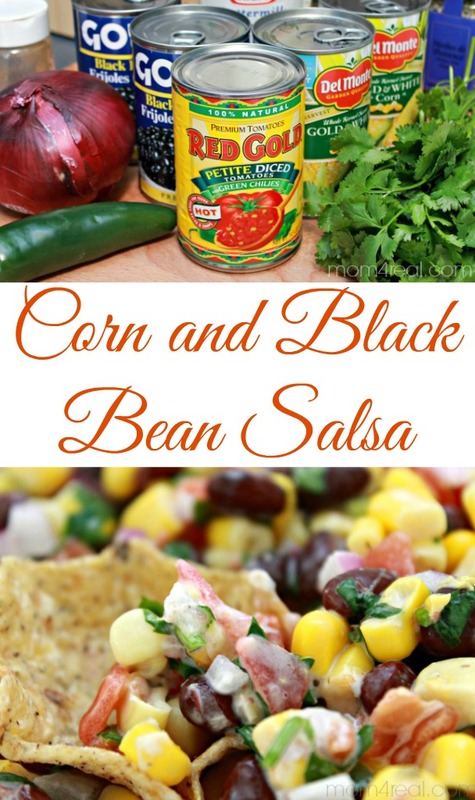 Try my Corn and Black Bean Salsa…it’s wicked good!